Hello there, fellow poultry farmer! How’s business doing? We hope you guys, especially newcomers are getting the hang of this, may the business of yours grow and profitable always, every day, and more. 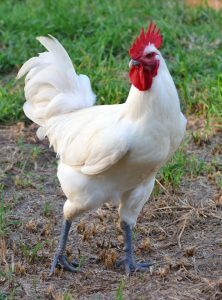 Today, we are going to help you, especially you who run the chicken meat farm business, to choose a suitable foundation for your business which is we are going to tell you about 5 Best Meat Chicken Breeds to Raise in Your Farming Business. This information indeed will be useful information for all of you, especially for you who are new to this kind of business. 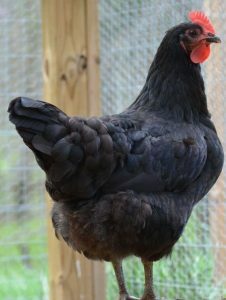 So, put your attention and read carefully as animallova will present the 3 Best Meat Chicken Breeds to Raise in Your Farming Business, check it out! Let us tell you why, why chicken meat farm business. The obvious reason why is because everybody loves chicken meat (except vegan). Every body love eating chicken meat for their breakfast, for lunch, for dinner. You can see many chicken outlets are open every morning, every day, and every night because they knew people indeed loves chicken meat. From the lowest cuisine into the highest one, chicken meat is the most favourite food for all kinds of people whether they are poor or rich. Well, from that obvious reason we know that chicken cuisine outlet will never die, people would love to buy them no matter what time it is, what weather it is, people would still love it, from fried chicken to a chicken steak people would still love it. Thus, this shows us a great business opportunity yes? Let us make this even clear, you can try to observe nearby chicken cuisine outlet you can see them they are selling a lot of chicken every day and yet they always out of stock every day; we guarantee that it would be difficult for you to find a chicken breast at past 8 pm because people love them so much even every outlet always have a sell out day every day. Great a business opportunity, right? However, this time we are not going to talk about raising a chicken cuisine outlet, but we are here to talk about choosing a proper meat chicken breed for your farm, right? In other words, this article would encourage you, inspire you, in this business and make your business profitable as you will act as supplier for those outlets. Yup, just supplier, you provide meat and the customers will simply pay them; don’t need to open the outlet, you just need to take care of the farm properly. Sounds easy, right? Although the business might sound easy, but in truth it is not easy, for example you must choose carefully which breeds do you want to use in this business? Will you able to choose the right foundation and make profit? Or you choose the wrong one and the business will fall apart to the ground and leave you with great economic loss? It is all up to you, but still we are here to make you profitable as always, every day, and more. In order to choose the proper breed, remember there are two points that need to be overlook at by you which are budget and demand. Budget indeed would be the main reason why you choose a breed, you might have a large budget and you can choose any breed that you want, but if you have a strict budget you need to be careful and choose the suitable breed wisely in order to maximize your budget. Also, demand, demand is important, you might want to know what kind of chicken breed meat that your customers love; it would be less profitable if you sell them the wrong meat that is not able to meet customers’ demand. The breed would vary and have their own unique character which should act as your consideration why you choose them. This one is common in writer’s area, even in the whole country. People seems love this meat so much and entrepreneur love this meat so much because they are cheaper than any other breeds. -Lots of meat so it would be a good consideration for nearby fried chicken outlet to buy this meat from your farm. -Eats a lot, unfortunately this breed eats a lot of food. They can eat 4 to 5 times a day. 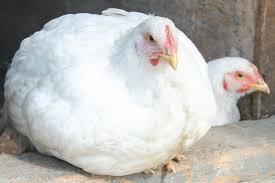 Well this breed in truth is not a recommended for middle end chicken cuisine business as this breed takes a lot of time to be harvested but you this breed has a very tasty meat if you cook them into chicken soup, also while waiting to be harvested, you can multiply their number through breeding. -Yes, a lot of time means a lot of time to wait them to grow and harvest them. Well, welcome to the expensive one. This is also quite popular in writer’s area but they also have an expensive price; people mostly will think twice before buying this chicken meat. Nevertheless, the price to be paid is worthy enough as the taste indeed more delicious than others. Well, that is all fellow poultry farmer, from this information we hope you guys will able to choose which breed that might profit your business the most? Just remember to regards your budget and customers’ demand as consideration for choosing them. Good luck!.